Our Transportation Department is responsible for the safe and efficient transport of students and district employees. 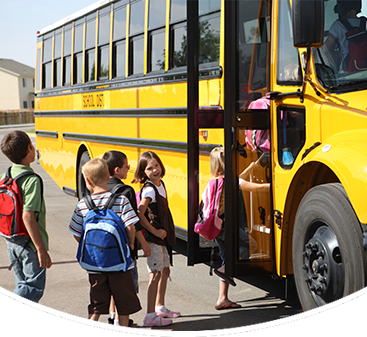 Our bus drivers follow all state regulations regarding school bus operation and traffic laws. You can rest easy knowing that your child’s safety is our top priority. Riding the bus is a privilege that we take seriously at Morristown School District. Please review the bus rules with your child regularly. Follow all directions given by the bus driver. Be on time at the bus stop. Keep your voice at a normal, inside tone. No tobacco, weapons, or drugs. Keep all objects secure and inside the bus (no throwing objects on or off the bus). Students may not change buses without a pass.